‘Hand (man) wanted for long voyage in small boat. So read the crew notice placed in the personal column of The Times by H W ‘Bill’ Tilman in the spring of 1959. This approach to selecting volunteers for a year-long voyage of 20,000 miles brought mixed seafaring experience—‘Osborne had crossed the Atlantic fifty-one times in the Queen Mary playing double bass in the ship’s orchestra’. With unclimbed ice-capped peaks and anchorages that could at best be described as challenging, the Southern Ocean island groups of Crozet and Kerguelen provided obvious destinations for Tilman and his fifty-year-old pilot cutter Mischief. His previous attempt to land in the Crozet Islands had been abandoned when their only means of landing was carried away by a severe storm in the Southern Ocean. Back at Lymington, a survey of the ship uncovered serious Teredo worm damage. Tilman, undeterred, sold his car to fund the rebuilding work and began planning his third sailing expedition to the southern hemisphere. Mischief among the Penguins, Tilman's account of landfalls on these tiny, remote volcanic islands, bears testament to the development of his ocean navigation skills and seamanship. The accounts of the island anchorages, their snow-covered heights, geology, and in particular the flora and fauna, pay tribute to the varied interests and ingenuity of Mischief's crew, not least after several months at sea when food supplies needed to be eked out. Tilman's writing style, rich with informative and entertaining quotations, highlights the lessons learned with typical self-deprecating humour, while playing down the immensity of his achievements. 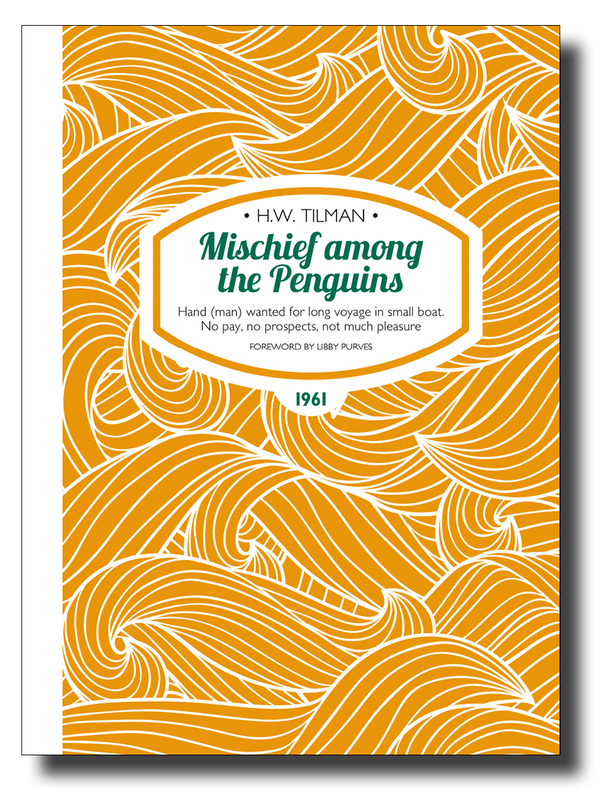 [Tilman] was not only an adventurer, brave and only rarely reckless, but a tremendous writer. He has that educated, unselfconscious late-Victorian facility and economy with words, sharpened further by his military youth. The sailing chronicles cover 140,000 miles of Arctic and Antarctic travels, and two shipwrecks, the loss of his beloved Mischief being the most wrenching. But he sailed on … This voyage was one of his finest: 20,000 miles of it to the Îles Crozet, where few have been and fewer still have sailed under their own mast. Libby Purves is a well-known British radio presenter, journalist, author and critic. A long-time sailor, she writes a column in Yachting Monthly and in 1982 edited an anthology drawn from Tilman’s sailing books. Tom Cunliffe has contributed an Afterword on the Bristol Channel Pilot Cutter. Tom has been sailing for most of his life and is one of the maritime world’s most popular writers and broadcasters. He is the author of numerous books, including the definitive work on the history of sailing pilot vessels. ISBN 978-1-909461-20-8; 216 x 156mm, 192 pages, photos, maps. Softcover with sewn binding, cover flaps and matt lamination.